In honor of those who have served in the U.S. Armed Forces. Universal Orlando Resort’s Veterans Network – comprised of more than 400 team members will march in a special parade at Universal Studios Florida on November 10th. 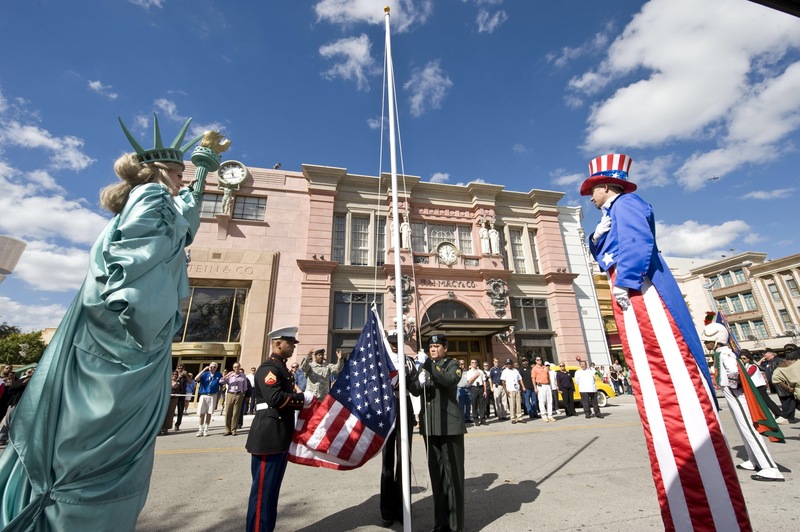 Universal Orlando Resort will also commemorate Veterans Day with a flag-raising ceremony and a private lunch for Veterans and their families. The parade will begin at 11am in front of Bettlejuice’s Graveyard Revue. Several of Universal Orlando’s performers will also process through Universal Studios during the parade. A flag raising ceremony will be held in the New York section of the park, in Gramercy Park near Twister: Ride It Out.